What makes a city? 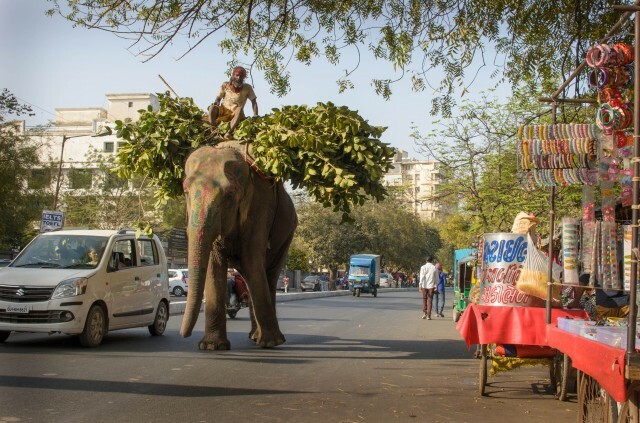 Last week as I flew out to India I wrote about the blank slate, Le Corbusier’s influence on Ballard and the new city that emerged around Heathrow. Ahmedabad was something of a playground for Le Corbusier, he did some of his most experimental work here. DNA India points out a number of his architectural ideas can be traced to Ahmedabad. His building at the Musuem of the City was the first to use his internal form circular exhibition, and by all accounts the Mill Owners Association is beautiful. Ahmedaabad offered a lack of constraint to Le Corbusier and the modernist movement. I’m interested in the Tabula Rasa and what the seeds of an experiential, playful city might look like. Ahemedabad, and India in general, can be a sobering place to do that. 50% of people live in slum housing, there’s a massive disparity between rich and poor, and huge sanitation and health issues. An often spoken phrase is: ‘We have more malls than parks.’ Public space is a hot topic. The National Institute of Design, where we are working, was built in Corbusier’s modernist style, following a report from Charles and Ray Eames. That report, though written over 50 years ago and relatively brief, is surprisingly similar in it’s message: India has huge social problems and all design and artistic effort must be mobilised to improve living conditions. So it’s into that historical context, with pressing social issues, that we are designing and thinking about cities in a universal sense. CEPT, the national school of architecture describes Ahmedabad as the formless city. A place where there is no one public space and all are claimed by many. The multiple centres are activated according to time of year and day. In the old city, Manek Chowk is an excellent example. Early morning it’s a vegetable market as traders enter the city, in the day it offers jewellery and gold, then at night it becomes a co-operative food market. It lives 24hrs. 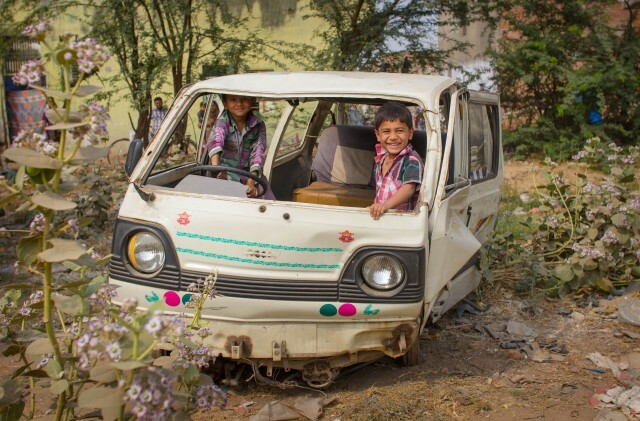 Ahmedabadis describe their chaotic, polycentric city with a pride for the empathetic chaos that defines its public space. Further north Chandigarh, Corbusiers top down, modernist city has two faces. The concrete facades are listed, yet inside away from the view of planners and conservationists spill out chaotic, colourful interiors. Indian owners were forced to turn their exploratory form of expression inwards and there is a much discussed tensions between the values of modernism and the way people actually live. The imagination of a modern municipality doesn’t include the idea of cows (let alone elephants) on the street. That’s the truth of an India city, a society defined by a visible acceptance of what should remain public. Ahmedabad has multiple cow insurance policies and a municipal organisation who collect bovine corpses. Indian cities are defined by an on going tussle for how things should be. Systems are tested through iteration and exploration. Like most problems in design and architecture, [planning for an event] is a problem in true speculation. You must relive the act before and evaluate many possible courses of action. What the Eames’ describe is not unlike play, the creation of an alternate space in which to inhabit other realities, and versions of this reality. It’s the freedom to contest and re-articulate systems, to appropriate, to hack and subvert. It’s well documented in the work of Guy Debord and the situationists that play and the spectacle are tools for political change. As it is in Eric Zimmermans idea of the ludic century. Play is both exploring the slack in a system and creating a new system that demands a different reality. Its potential both here in Ahmedbabd and globally, is to be our method to challenge the status quo. 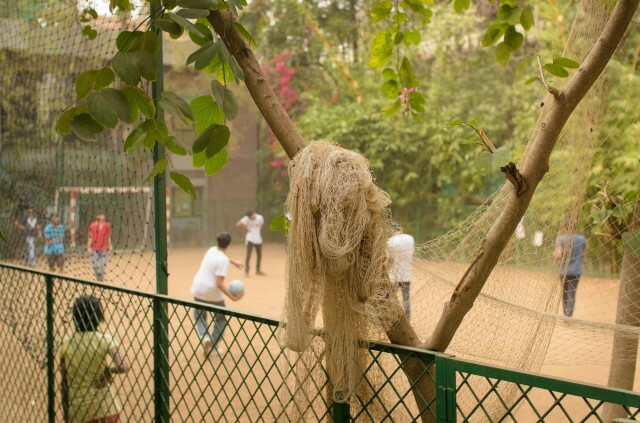 And of course India does play, at sports and in unusual spaces. In Ahmedabad they play in rusty old cars, they play catch in the crowded street and cricket in a 4 foot wide alley. Play, and the constant re-articulation and contestation of space, and the subsequent consent achieved through public visibility, is play at it’s most powerful. As we move forward I’ll be thinking of play as a way of exploring what an alternate, experiential city might look like. Whether that’s the spacial qualities of a game city like Assassins Creed’s Venice (Ahemedabad old town has a wonderful secret passage network ), the engineered social experiences of Disney’s Celebration or completely new types of city on other planets or in other futures.